Reaching out to faith based communities Dr. Kathleen Henry attended the ground breaking for the new Salvation Army Corps location in San Bernardino. 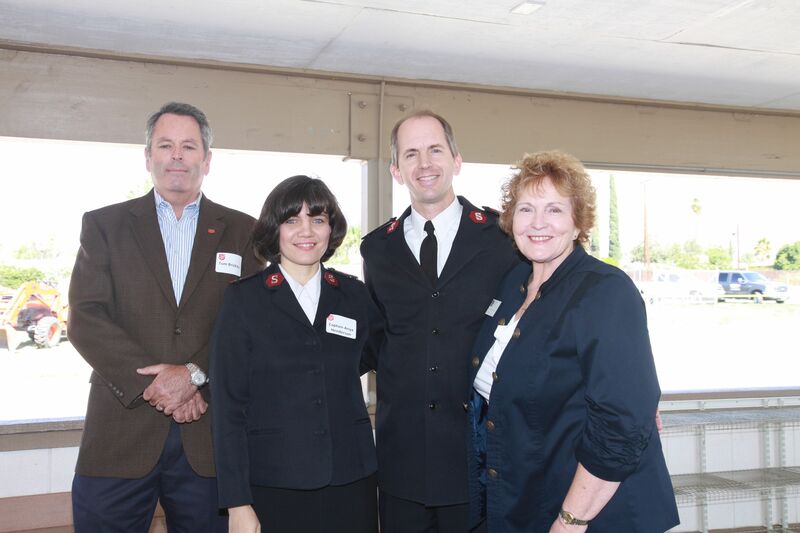 Left to right: Salvation Army Board member Tom Brickley, new Corps leaders Captain Anya Henderson, Major Dan Henderson and Dr. Kathleen Henry. (Redlands, CA) Habitat for Humanity of San Bernardino is revitalizing its efforts to work with faith-based organizations, which will help it to provide greater service to the community it serves. It will bring about these cooperative ventures through the newly renamed Faith Based Committee, which had previously been known as the Church Relations Committee. This committee reaches out to the faith-based organizations in its community to procure donations of construction supplies, volunteer construction crews, meals and prayers. Since the committee is newly reorganized, Habitat for Humanity wants to add additional people as soon as possible. From this additional membership, the committee will select a chairperson and other officers soon, and in 2014 begin its community outreach campaign. “We will meet with other faith-based organizations and find out what their resources and needs are,” Henry said. “They may know people who can help with their expertise, they may know of families in need, or they may know of property owners who want to donate property,” she said. “We will meet with other faith-based organizations and find out what their resources and needs are,” Habitat for Humanity Faith Committee Chair Kathleen Henry said. “They may know people who can help with their expertise, they may know of families in need, or they may know of property owners who want to donate property,” she said. The people who want to help may have specific expertise, such as construction or environmental review, or they may simply be volunteers willing to help in any way the organization needs. The new name better reflects the committee’s purpose, bringing together all faith-based organizations to help with Habitat for Humanity’s goals of eliminating poverty and providing affordable homes. The new name is one that many southern California chapters of Habitat for Humanity use to better reflect the many types of faith-based groups in their cities. 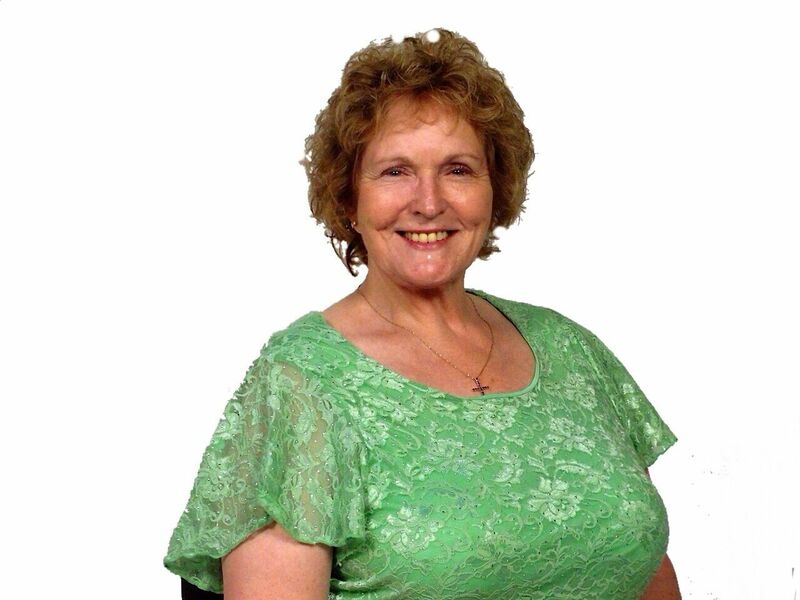 It is an honor to have Dr. Kathleen Henry lead the reorganization of the Faith Based Committee. She is a great organizer with dedication to serving our community. Dr. Henry’s community contribution includes: an elected trustee of the San Bernardino Community College District, Member Steering Committee for the Women’s Leadership Council of Arrowhead United Way, Chairperson for the Scholarship Committee of the Highland Woman’s Club, member/past Chair of Youth Services and K-Kids at Kiwanis Club of Highland, and she serves as an Ambassador for the Highland Chamber of Commerce. Families work with Habitat for Humanity staff and community volunteers to construct the homes, although the projects are managed and supervised by licensed general contractor Tim Garcia. Since it has volunteer labor, and often uses donated supplies, Habitat for Humanity constructs homes for less cost than typical construction. The San Bernardino chapter serves San Bernardino County communities between Fontana and Yucaipa, as well as the Mountain Communities of Running Springs, Lake Arrowhead, and Crestline, and the Upper Desert towns of Hesperia, Apple Valley and Victorville. The agency currently has plans to build seven homes in San Bernardino and Grand Terrace. All will be three-bedroom, two-bath homes with attached two-car garages. The homeowners will be able to add their personal touches on these homes by choosing paint colors and carpeting. To join the Faith Based Committee or for more information, go online to www.habitatsb.org, or call Habitat for Humanity, Executive Director Dennis Baxter at (909) 478-1176.